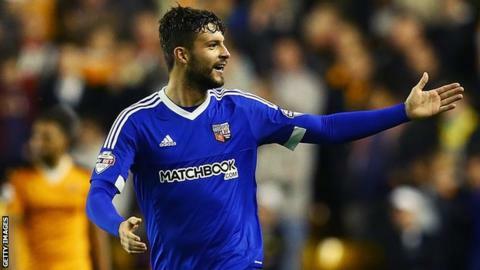 Marco Djuricin's second-half strike earned Brentford victory over west London rivals Queens Park Rangers and their fourth straight Championship win. The Austrian forward lost his marker and fired home Alan Judge's cross from six yards shortly before the hour mark. The visitors enjoyed the better of a goalless first half at Griffin Park as Massimo Luongo hit the woodwork twice. But QPR struggled for creativity after the break as Matt Phillips saw their best effort saved by David Button. The victory was Brentford's first over QPR since a 6-1 win in August 1965, although this was only their eighth meeting since, the last of which came in 2004. An often scrappy first half burst to life five minutes before the break when Luongo headed Phillips's cross against the bar. Brentford head coach Lee Carsley's only other managerial experience was as caretaker boss of Coventry City. In his two spells with the Sky Blues in 2012 and 2013 he won four of his 11 games in charge. The Australian midfielder was denied by the woodwork again moments later when his curling effort struck the post. Brentford looked invigorated after half time as Djuricin's fierce shot was palmed away by QPR goalkeeper Robert Green and John Swift fired the rebound wide. Phillips's powerful header was kept out well by Button at the other end, before Djuricin finally broke the deadlock. The 22-year-old, on loan from Salzburg, stole in at the near post and lashed in his fourth league goal of the season. QPR's top scorer Charlie Austin came on as a second-half substitute after a month out with a hamstring injury, but was unable to make an impact as Chris Ramsey's men were left with just two wins since August. Lee Carsley's Brentford, whose last defeat came against Derby at the start of October, overtook QPR into 10th in the table. "It's a big job, we are pushing to be in the Premier League and it's not a first-timer's job. "I thought it was a great night for us. It was a different build-up in terms of expectation, with QPR being a former Premier League team and the fact we hadn't beaten them for so long. "It's nights like that that you remember when you retire. The main thing has been trying to get the belief back with the lads. "They weren't doing themselves justice at the start of the season. But all the things they weren't doing, they are doing now." "You have to take your chances when you get them and we didn't do that. "When you go away and play in this league you have to play ugly and sometimes we are being too naive. "We gave the ball away cheaply for their goal, we went for a counter-attack and they ended up scoring. "The fans want the bragging rights and we feel sorry for them. They gave us support and unfortunately we haven't been able to give them the three points." Match ends, Brentford 1, Queens Park Rangers 0. Attempt missed. Daniel Tözsér (Queens Park Rangers) left footed shot from outside the box misses to the left. Assisted by Matthew Phillips. Offside, Brentford. Jake Bidwell tries a through ball, but Lasse Vibe is caught offside. Lasse Vibe (Brentford) wins a free kick in the defensive half. Attempt missed. Philipp Hofmann (Brentford) left footed shot from outside the box misses to the right. Assisted by Konstantin Kerschbaumer. Nico Yennaris (Brentford) wins a free kick on the right wing. Substitution, Brentford. Philipp Hofmann replaces Marco Djuricin. Attempt blocked. Junior Hoilett (Queens Park Rangers) right footed shot from outside the box is blocked. Hand ball by Lasse Vibe (Brentford). Marco Djuricin (Brentford) is shown the yellow card. Matthew Phillips (Queens Park Rangers) is shown the yellow card. Toumani Diagouraga (Brentford) wins a free kick in the defensive half. Delay in match Clint Hill (Queens Park Rangers) because of an injury. Attempt missed. Jake Bidwell (Brentford) header from the centre of the box is just a bit too high. Assisted by Alan McCormack with a cross. Matthew Phillips (Queens Park Rangers) wins a free kick in the defensive half. Daniel Tözsér (Queens Park Rangers) wins a free kick in the defensive half. Corner, Brentford. Conceded by Karl Henry. Corner, Queens Park Rangers. Conceded by Nico Yennaris. Attempt saved. Matthew Phillips (Queens Park Rangers) header from the centre of the box is saved in the top left corner. Assisted by Jay Emmanuel-Thomas with a cross.